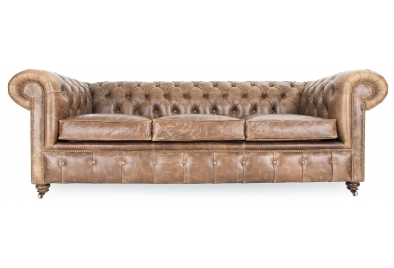 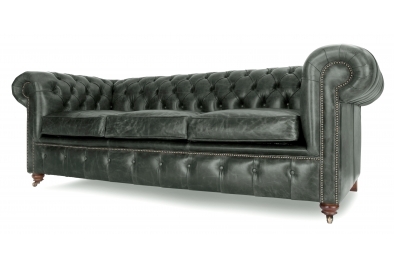 Historian is the most typically-English Leather Chesterfield Sofa you could find but it's his deep-buttoned arms standing to attention that give him his modern twist. 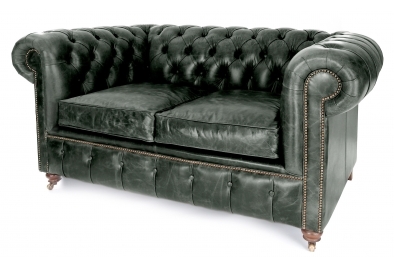 If you have a taste for Leather Chesterfields you simply have to meet him. 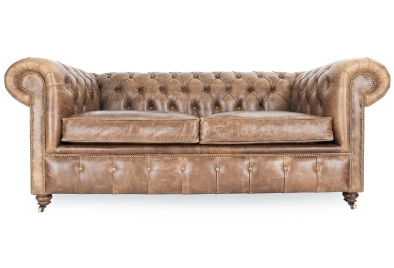 His deep buttoning continues right across his straight back and his seat base is properly sprung to give him that true Chesterfield strength. 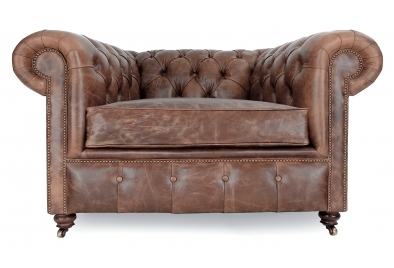 He wears only our exclusive Vintage Leather which is carefully hand polished to look worn and loved - you'd think Wellington himself had sat on him! 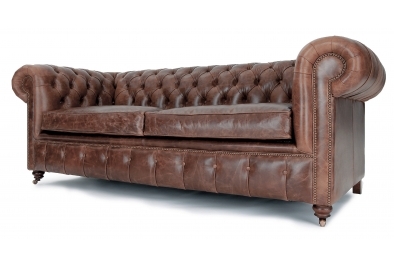 If you like Historian I should probably introduce you to Chester, his younger brother, he's got all the style and class of a classic Chesterfield, he just hasn't quite earned his studs yet!